POSCO’s Steel Village project was tabbed by UN as an exceptional illustration of social contribution activity that shifts the paradigm of corporate social responsibility in the global landscape. This is not UN’s first-time recognition of POSCO’s concerted efforts to reform poor residential areas around the world by applying POSCO’s unique sustainable resources combined with advanced techniques. This Steel Village initiative had been previously registered on the UN’s SDG website as ideal and was selected in April as an eminent example by UN during its 50th conference of the UN Population Development Division. POSCO Steel Village is recognized by the United Nations as an outstanding corporate social responsibility (CSR) project at the UN High-level Political Forum hosted by Korea’s Ministry of Foreign Affairs. 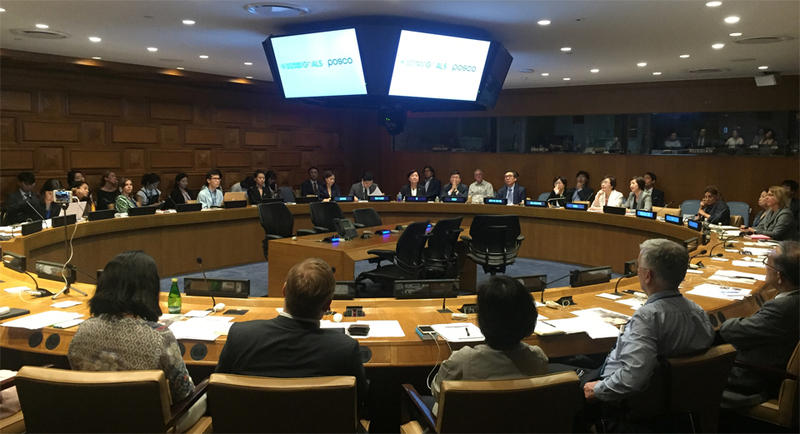 On July 18, POSCO introduced its Steel Village project to 193 member countries of the UN, as an implementation of Sustainable Development Goals (SDG) at the United Nations High-level Political Forum event hosted by Korea’s Ministry of Foreign Affairs. The SDG, also known as “2030 Agenda,” is a collection of 17 international goals established by the UN in 2015 to address social and economic issues worldwide while achieving the prosperous coexistence of humanity by the year 2030. The Steel Village Project is one of POSCO’s leading global social contribution activities adopting POSCO’s steel and construction methods to create residential buildings and bridges for the underprivileged. Since 2014, POSCO has built 104 steel houses and steel bridges in Vietnam’s poor residential areas. And this year, a steel dome was constructed and donated to a Thai school where students can enjoy sports activities on bad weather days. 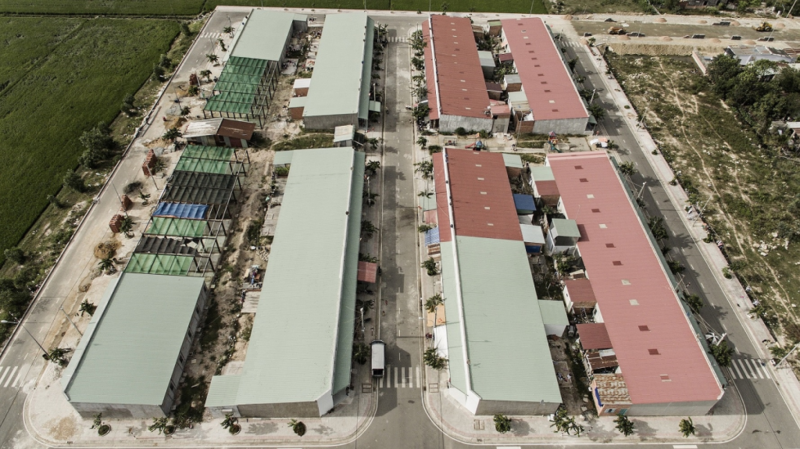 Vietnam Steel Village is a town construction project that carried through in increments for three years since 2014 to accommodate around 500 homeless people in Tan Hoa commune, Ba Ria-Vung Tau Province, a location site of POSCO-Vietnam and POSCO SS VINA. The land was provided by the local government, the construction costs supported by POSCO 1% Foundation while POSCO employees and POSCO global youth volunteer group, Beyond participated in the construction works. In the village of Yoewa, 70km northwest of Yangon, the largest city in Myanmar, rainwater engulfed the wooden bridge railing during a rainy season, causing difficulty for children to go to school while commuters in trucks were unable to cross the bridge in order to sell grains and fish to make a living. To address these concerns, POSCO Daewoo examined climate and geographical features. Then applying the consensus of the residents in the area, POSCO A&C constructed an arch bridge to prevent inundation. POSCO’s Pohang steel mill constructed its framework and guardrail with corrosion-resistant steel, PosMAC which was then inspected by POSCO E&C. The new transformation from wood to steel greatly enhanced the durability and safety of the bridge while agricultural machinery weighing over 2 tons can easily pass through the widened bridge space.